Italy is Europe’s leader for natural gas vehicles. It’s NGV population exceeds 1.13 million vehicles, placing it seventh among NGV countries globally. Compressed Natural Gas (CNG) refueling stations number 1,326 at the end of March 2019. This short overview of the current NGV market is prepared by NGV Global with the assistance of in-country commentators. For many years Italy’s natural gas refueling network has been consistently growing at almost one new filling station per week. The CNG network renovation and development process started at the beginning of the 90’s. In 1992 there were 150 installations, mainly in the central and north-east areas of the country. Now all regions have NGV refuelling stations, excluding the island of Sardinia which is entirely without gas supply. Over the next decade further momentum was added by some important regions (e.g. Piemonte, Lombardia, Trentino-Alto Adige). There was increased attention paid to the environmental benefits of NGVs, and fuel operators were successfully encouraged to expand the CNG network in their territories. In the 2010’s, in response to the attention paid to the benefits of using natural gas fuel for long distance transportation and logistics operations LNG and/or L-CNG refuelling stations begun to appear, today numbering 38. Refuelling stations are available also on many the highways; recently the Italian Ministry of Transport, in underlining the importance of developing also the NG distribution network, solicited the motorway concessionaires companies to present the detailed plan for CNG and LNG dissemination (such plan was to be presented by December 31, 2018). CNG retailers suffered a significant revenue decrease in recent years, due to the decline of the average sales arising from the increasing plants number versus reducing vehicles. See comments under Vehicles below. Growth in 2019 is anticipated. The use of biomethane as renewable energy source in transport sector is receiving growing attention in Italy, as it is worldwide, as part of the movement toward sustainable mobility and ultra-low carbon fuels. It is expected to play an increasingly significant role over the next decade, especially given this fuel can be used by natural gas vehicles without any changes to existing vehicle technology. Additionally, biomethane can be mixed with fossil-natural gas in any combination to increase the emission advantage of this gaseous fuel. For the years 2014-2017, Italian NGVs were in decline, substantially due to the lack of new NGV models offered by car manufacturers. (In this period there were no significant changes in fuel price competitiveness and the refueling network continued to grow). Noticeable was the lack of successful replacement of the FIAT Multipla, one of the most popular OEM-NGV on the Italian market since the end of the 90’s. A turnaround came in 2018, mainly due to the wider NG model range offered by the VW-Audi-Seat-Skoda group; that upward tracking looks set to continue into 2019 and beyond, helped in part by the growing awareness of the environmental benefits derived from consumption of renewable natural gas (RNG). 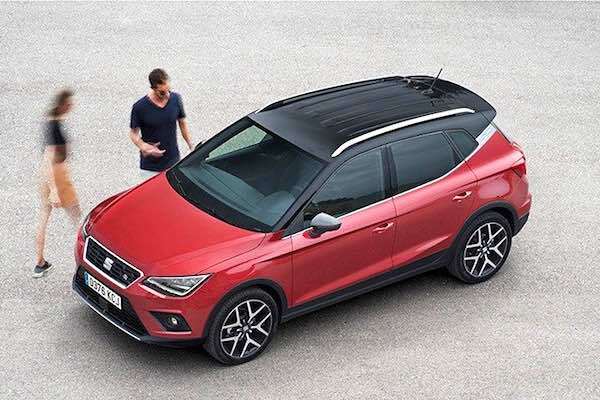 New vehicle orders in the first half of 2018 were so high that a temporarily to stop new sales of the Golf occurred due to overbooking. Despite Italy’s major OEM, Fiat, previously a dominant force in NGV production and range, being extremely quiet with regards new models, there is renewed interest in the NGV marketplace. Major energy suppliers are reinvesting in this sector which should re-stimulate OEM activity. Even for a relatively mature NGV market that Italy represents, the famous chicken-and-egg paradox can still affect NGV development. Government and policy makers appear to become distracted by socially appealing technologies and fail to recognise that the NG market is still relatively young and in need of ongoing support. Yet this same market is ready now to be a major contributor to achievement of national emissions targets. Today in Italy, natural gas fuel system technology and vehicle prices are equal to or better than traditional fuels and emissions performance is better, especially with the increasing availability of biomethane (RNG). 2019 will unfold with great interest for all market stakeholders. Expert knowledge of the Italian NGV industry be obtained from NGV Italy, an affiliated association of NGV Global, and from AssogasMetano, the National Association of Methane Distributor Firms. The Italian government has enacted laws introducing concessions favourable to increasing the number of natural gas vehicles on Italy’s roads. The concessions include relaxed restrictions on the location and operational requirements for natural gas refuelling stations, including the ability to operate self-serve CNG facilities, and increased weight allowances for heavy-duty vehicles operating on natural gas. More information: NGV Global News item on Italian NGV policy changes; NGV Italy homepage. Italy, the “country of natural gas” has seen a rise in the NGV numbers in the past couple of years, due to a) a clear decision by the main car manufacturers to go into the NGV business, and b) aftermarket manufacturers being successful in complying with the new stringent Euro 4 and OBD regulations. Aftermarket conversions rose to 30,000 in 2004, increasing 20% over the previous year, and the OEM cars and commercial vehicles were about 12,000, double the previous year. Thanks to the wide spectrum of models and to the good quality of Italian NGVs, sales for the start of 2005 are again double 2004 levels. The total number of NGVs is presently about 360-370.000 in Italy, the percentage of such vehicles being about 8% in the more “methanized” areas. CNG urban buses are also proving successful in Italy and today number about 1,200, spread over almost 50 towns. In 2004 the number of CNG buses ordered was higher than diesel buses! Heavy duty trucks for garbage collection and downtown delivery are also available but their uptake is currently slower than expected. Number and types of refuelling stations. Refuelling stations have grown from 370 at the end of 2001 to more than 510 by the end of 2004. Thanks to the government and to the support of local authorities (see below), it seems that the chicken and egg cycle has been broken by the filling stations. Total gas sold for transportation is in the range of 440-445 million cubic meters per year, increasing slowly over time. What is still missing in Italy is the allowance of self-service refuelling, in spite of the permission for such systems all over Europe. The use of vehicle refuelling appliances (VRAs) is practically unknown, (the installation constraints being the same of the big stations) and actions are under way to alter the requirements in the legislation. CNG street price is now in the range of 0.7 €/kg, comparing with 1.25-1.30 €/kg for diesel fuel and to the 1.45 €/kg for gasoline, thanks to the very low excise. This is deemed by the authorities to be a primary incentive for the use of natural gas. Italy also has a unique CNG cylinder exchange system, operated by ENI, a majority Govt owned company, which is proving useful for maintaining safe cylinders throughout the country. Users purchase cylinders when they purchase or convert their vehicles. After 5 years the cylinder is exchanged for one which has already been inspected. R110 compliant cylinders are given a visual inspection while still in the vehicle. Cylinders that don’t pass inspection are destroyed. A surcharge of €0.015-0.02 per kg of CNG sold covers associated costs. The first weeks of 2005 were very dry in Italy, and the particulate content of urban air rose well above the allowable limits, pushing local authorities to a) favour the use of natural gas (and of LPG) with incentives and b) restrict the circulation of older vehicles in urban areas. There is presently a wide range of subsidies for the erection of natural gas filling stations, for both private fleet and public use. There is also a wide range of incentives for buying new gas vehicles. These go in parallel with the traffic restrictions for which gas vehicles are exempt. The NGV industry is ready to follow this expansion in Italy, but also has very big business opportunities in the rest of the world, thanks to its quality. Italian equipment and components are sold in South America, in the Far East and in Russia. Some Italian companies are better known abroad than in Italy. 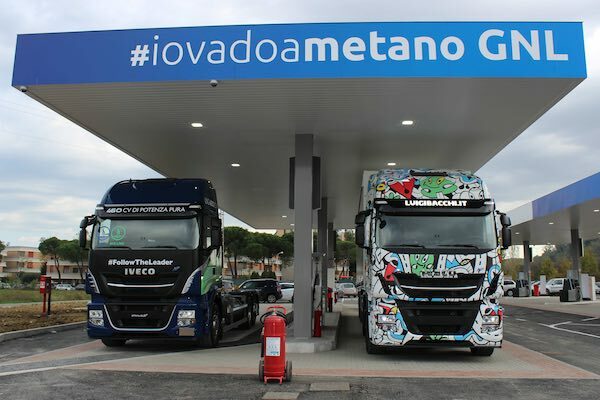 Looking back to the last few years, signs are evident that the NGV business has started to grow seriously in Italy, thanks to the government support and traffic restrictions for the liquid-fuel vehicles, and thanks to the decision of national vehicle manufacturers to commit to natural gas vehicles. What is still at the early stages is the task of educating the general public about NGVs but this situation is changing also as new communication campaigns have just started.